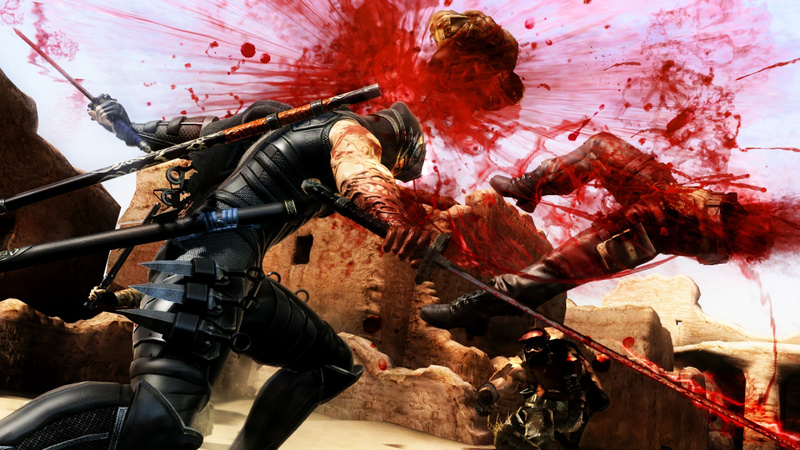 Nintendo will publish Ninja Gaiden 3: Razor's Edge, reuniting the Big N with Team Ninja. Ryu Hayabusa's adventures come to a Nintendo home console for the first time since the Super NES days. Ninja Gaiden III on PS3 and Xbox 360 didn't get the best reviews, so we'll be interested to see if Nintendo asks Team Ninja to make any big improvements to the core game. Either way, the screenshots look glorious, so colour us interested. Ryu Hayabusa's adventures come to a Nintendo home console for the first time since the NES days. Ninja Gaiden Trilogy for the SNES says hello! well the game will have improved A.I., exclusive weapons and they also add back the dismemberment. @Ryno I knew I'd get that wrong. Thanks! This game is crap, it got horrible reviews all over the place. Interesting to see Nintendo publishing it. Hopefully they can help make some noteworthy improvements, but if the game's as bad as everyone's saying then it might be too much to ask for it to be turned into something actually decent. Looks like a pass, but at least there's a lot of other interesting Wii U games on the way. It's really unlikely that Nintendo, the publisher, is going to devote substantial development resources to a game they don't own. More like TK decided not to publish the game, So Nintendo, keen to promote third parties, took the game on instead. Also, it's not that bad. Team Ninja, I thought that was the dev's name, what's the name of the guys who made Enslaved: Odyssey to the West? I'm sure they have a Ninja name too. Racking my brain here! @ChunkyDroid Team Ninja is owned and published by Tecmo Koei. They also own and publish for Omega Force, the creator of the Warriors series. Enslaved: Odyssey to the West is developed by Ninja Theory, and published by Namco Bandai Games. Before you published this game Nintendo tell Tecmo Koei/Team Ninja to get rid of the number 3. God I hate that number and it better not be a port. 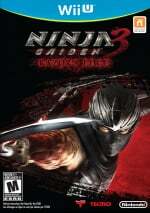 This game should only be called Ninja Gaiden: Razor's Edge, no 3. Tecmo-Koei aren't even relevant anymore, they're in their deaththows and Nintendo needs to shake loose of their cold dead hands...imo. @ThreadShadow I agree, without Itagaki the original creator of the 3D Ninja Gaiden games, the series seem to hit a plummet. Ninja Gaiden 2 for Xbox 360 is the last game he made that was great. One thing I dislike about Nintendo's choice to publishing a 3rd party own title here in NA is that they rush to publish a game based on popularity and not on quality anymore for example they rather published Ninja Gaiden 3 for Wii U and release that here when we all know that game fail so much but a game like say Fatal Frame IV which was released for the Wii a long time ago (which they published in Japan which was also a Tecmo property title) never see the light of days over here. I heard ppl give this bad BUT I love every Ninja Gaiden so far and played the newer ones, 1 and 2, on 360, so this game is on my list to buy too. Thanks, but imo, Itagaki isn't relevant either, and his Ninja Gaiden games weren't very good. His games are mass amounts of missed opportunities. I can see your point about Nintendo publishing what's popular. And it's a shame they are rushing to publish a very grotesque game. I don't want to hurt your feelings, but the Fatal Frame series...well...garbage games are garbage. Nintendo, release thyself from the withering corpse that is Tecmo-Koei!